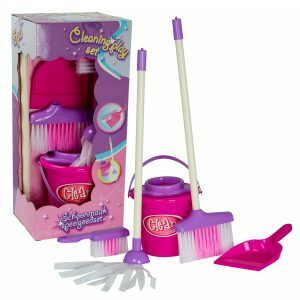 Pink Toys & Housework – Really? Who Cares? There was a strong wind of discontent reported in the press recently when a company was criticised for its toy pink dustpan and brush set which was very squarely aimed at girls. Having missed the original story I went on line to look at the offending object (well, I’d done all my household chores for the day and was just darning the men’s socks, so I was allowed). I found my eye drawn to some of the comments under the original piece. Most were saying this was a storm in a tea cup (presumably a floral and pink one), that these things did not matter and people were making a mountain out of a molehill. Open my newspaper and see as many pages dedicated to women’s sport as men; check it out, most days you are lucky to find one paragraph in usually about a third of any newspaper given over to men’s sport. Watch a comedy panel programme which has as equal a representation of women as men. Crikey, there may even be more women than men! Yes, Have I Got News For You and others, I do mean you. One token woman every few programmes is not gender equality and certainly not funny. Make the above comment without a clamouring of ‘but women aren’t funny‘ responses. Open the i paper’s Twittersphere column and see as many women as men not just one out of 7. Over the holidays they had 9 ‘pithy’ (no I haven’t got a lisp) comments culled from the previous day’s Twitter posts. One was a woman. I surmise because that woman was Caitlin Moran they thought it counted for more. Some days a woman never gets a look in at all. Clearly women say nothing of worth on Twitter. Say – yes, we used to have something called Page 3? No, grandchildren, I am not joking. Yes, I know, why on earth would a NEWSpaper want to put young women’s bosoms in every day. No, no one would even think of doing it now, it’s so degrading to women. Not even notice when a woman is given a high profile appointment because women will be equally represented everywhere and it won’t be a news story. Rejoice because so called ‘women’s issues’ will get genuine equal treatment under the law and that law will have been equally as influenced by women as men. Enjoy the changes the female Pope is making to the Vatican…. I could go on and on and on and this is just relevant to the UK, but you get my drift. How would a gender equal world look to you? Please do share your ideas, funny or serious. I think that there needs to be a balance of the masculine with the feminine in both genders. That women stop competing by becoming laddettes e.g. crushing your hand when they shake. That the difference between the sexes is recognised and respected. That we all discover our self esteem. A gender equal world would be one where my mother, a feisty lady who worked hard from the age of 15, went back to college as a mature student whilst working to get Gcse’s and train as a teacher whilst almost singlehandedly bringing up 3 children for several years as my dad was working away so much, and who contributed just as much to the financial household coffers as my wonderful dad, didn’t feel the need to say “well dear men are still really the main breadwinners aren’t they”….